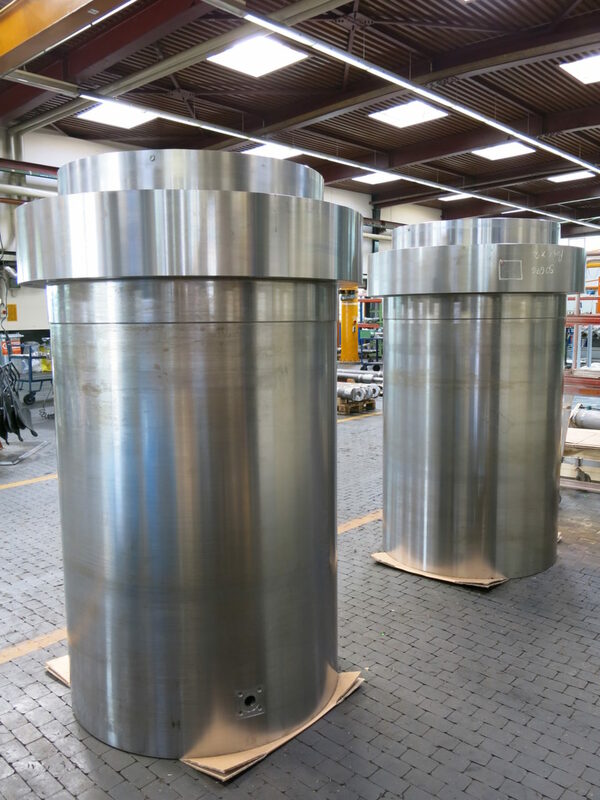 We have gained experience over decades and can submit numerous references of worldwide leading plant manufacturers when talking about designing press cylinders to meet various application ranges. 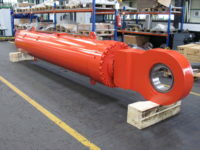 Press construction has always set highest demands regarding quality, precision and fatigue strength which require extensive knowledge regarding the design of cylinders, gaskets and the coating of piston rods. 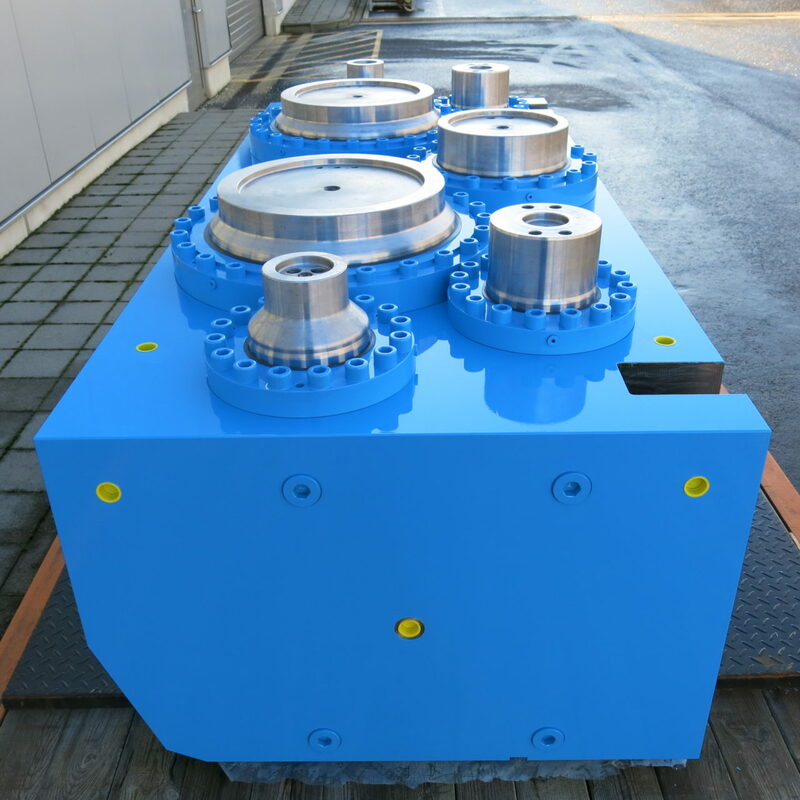 Under these aspects the holistic approach of press cylinders leads to optimal design and highest performance. 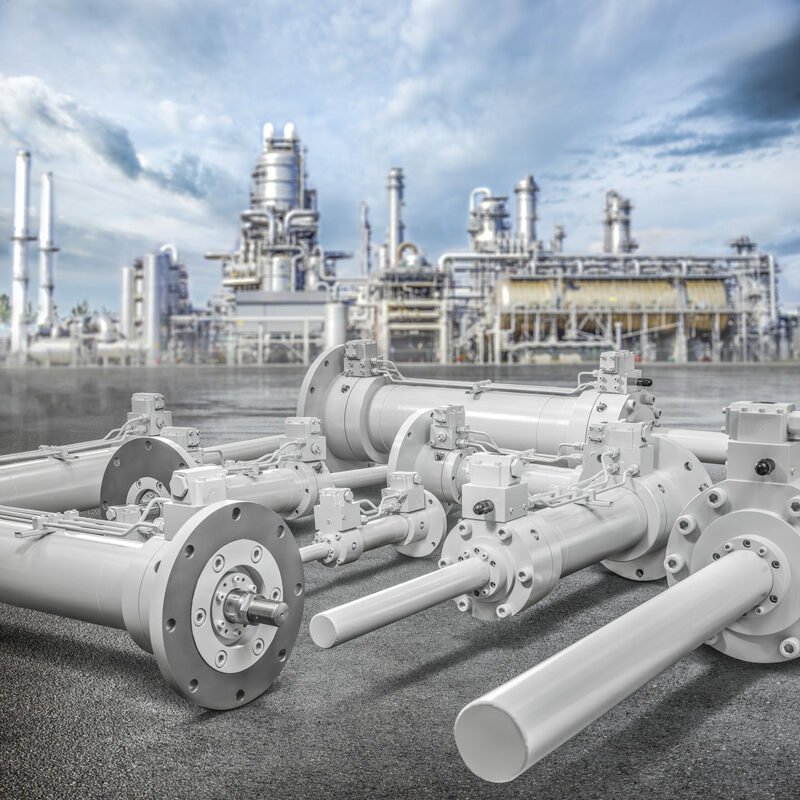 Today, engineers design machines, production units and even turn-key plants for industry and production to comply with extremely specific requirements. 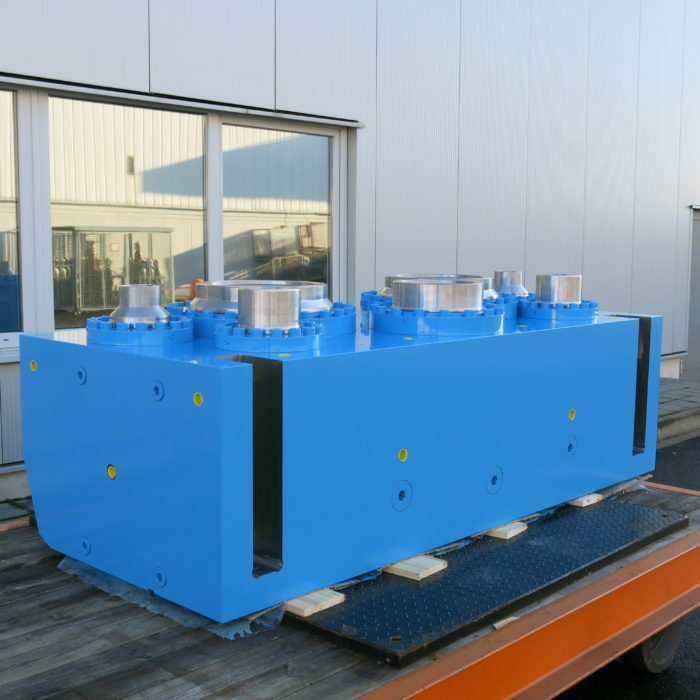 Also specific hydraulic systems are used in various application areas. High frequencies, fatigue strength, redundancy and innovative activation are often combined with tolerances in the µm-range and the wish for a high endurance. Many projects can only be realized by specific development of suitable hydraulic components with corresponding sealing concepts and control solutions. Multi-cylinder unit for the retrofitting of an existing machine. 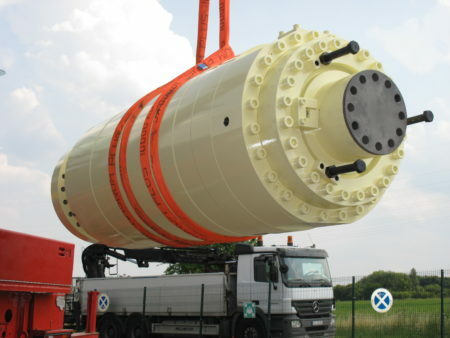 Particularly in industrial furnace construction the material technology is of special importance. 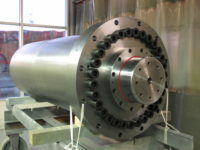 High thermal load is often connected to high temperature amplitudes and high requirements concerning the processing characteristics and durability of the cylinders, especially of oven tilting cylinders. 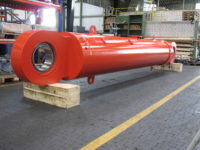 This also requires special expertise in the development and manufacture of special cylinders for hot treatment and melting technology. 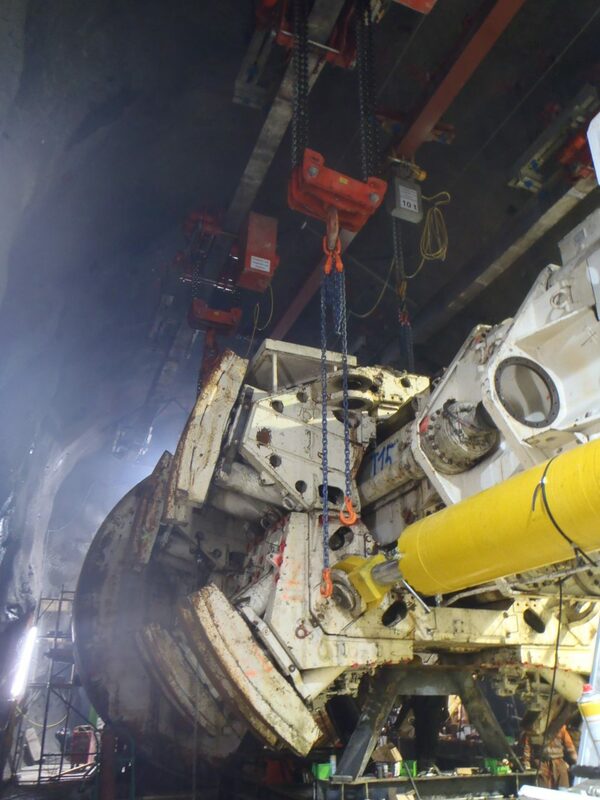 Our special cylinders are often used in tunnel boring machines (TBM), but also in drilling equipment and construction machines for sophisticated applications. This is why extreme environmental influences, e.g. 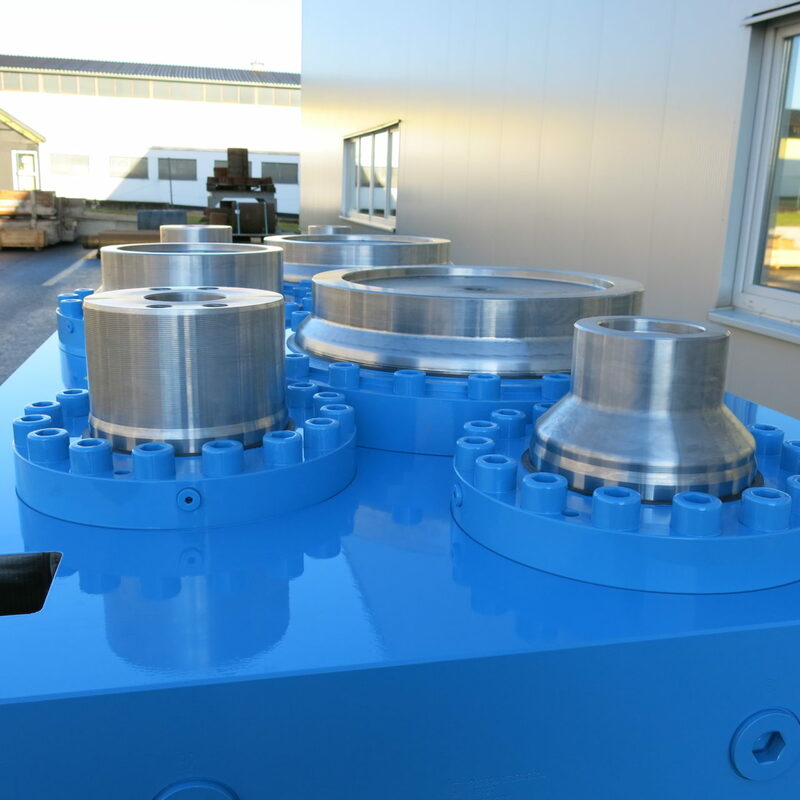 precipitation, dusts, rock falls or contaminations – or a combination of these influences – represent highest requirements on the cylinders. 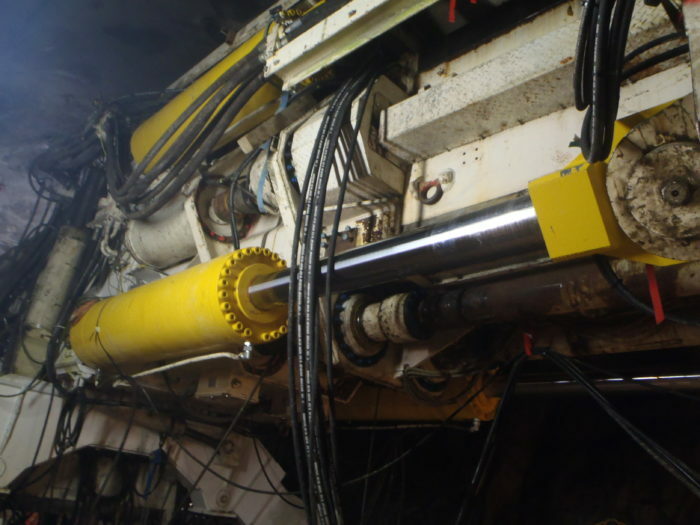 In particular, we manufacture special cylinders for tunnel construction like huge propel or mighty gripper cylinders guaranteeing highest performance also under most difficult application conditions and in spatial narrowness. 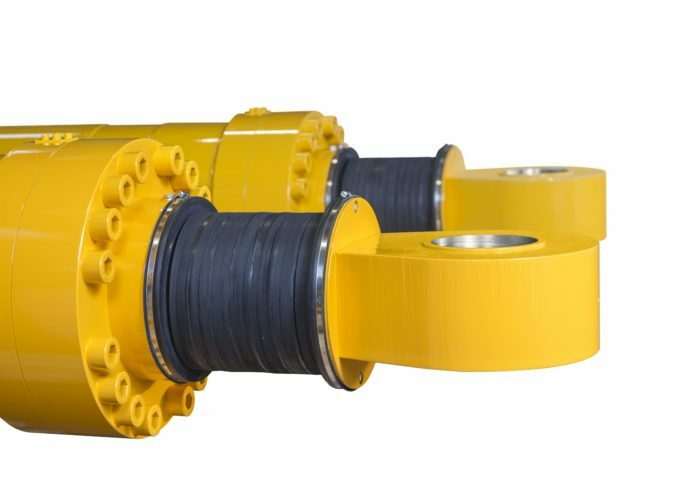 The know-how and experience of our engineers allows construction and production of hydraulic cylinders which precisely and reliably fulfil individual customer requirements. 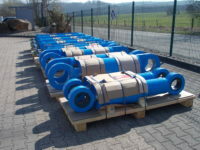 In the area of marine technology we already have supplied hydraulic components and special cylinders for various applications such as stabilizers for compensation of rolling motions as well as hopper barges at corresponding transport ships. 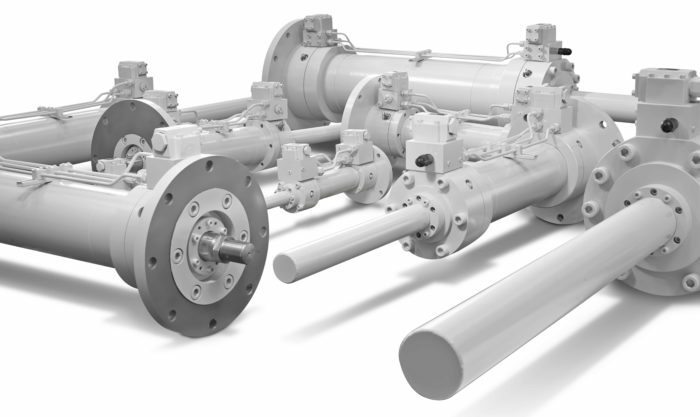 Requirements vary depending on the intended purpose and range from high precision and smooth running to absolute reliability in underwater operation. 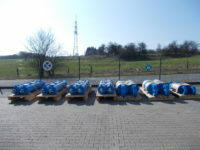 On request we can also provide for acceptance of cylinders designed by our engineers through a classification society (e.g. GL, DNV, Bureau Veritas). 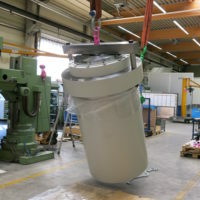 In materials handling each kind of conveyed material represents special requirements sometimes not to be managed by standard solutions. 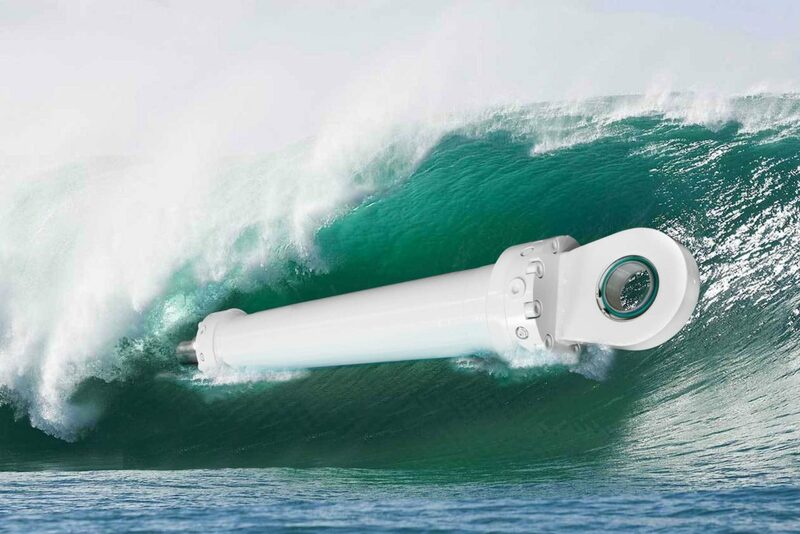 Our special cylinders open a wide spectrum for development of tailored solutions, no matter whether in maritime environment or in areas heavily contaminated with dust. 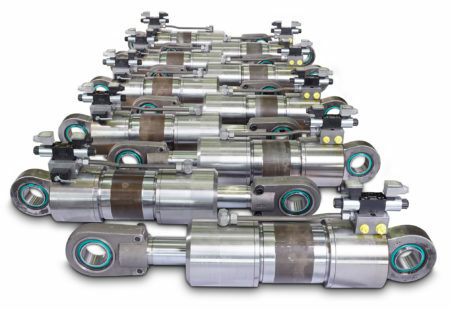 With our hydraulic cylinders developed to specification featured with piston rod diameters of up to 1000 mm we are able to solve even most difficult conveying tasks. 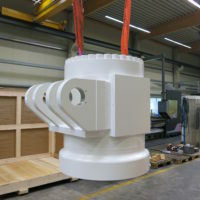 This allows our customers to adjust their conveying technology precisely to each material to be conveyed. 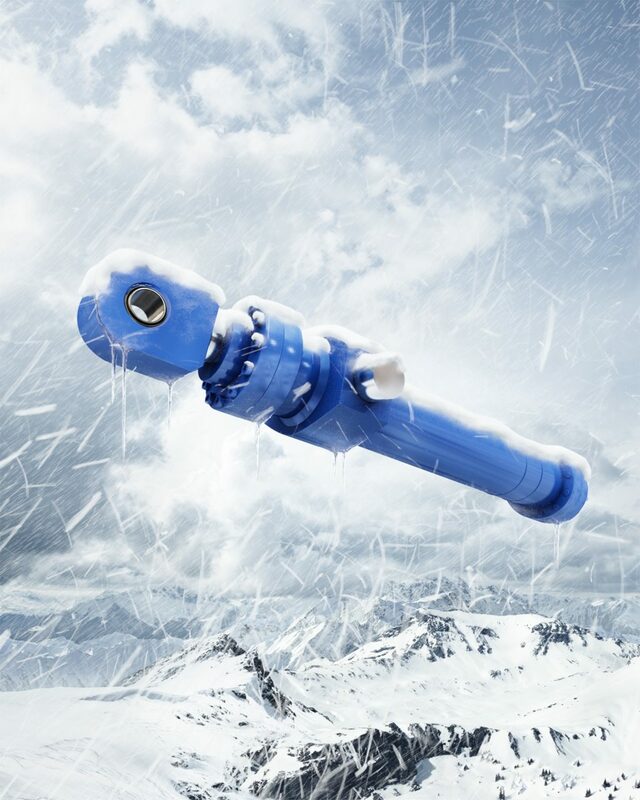 In further processing of crude oil and natural gas extreme conditions prevail. 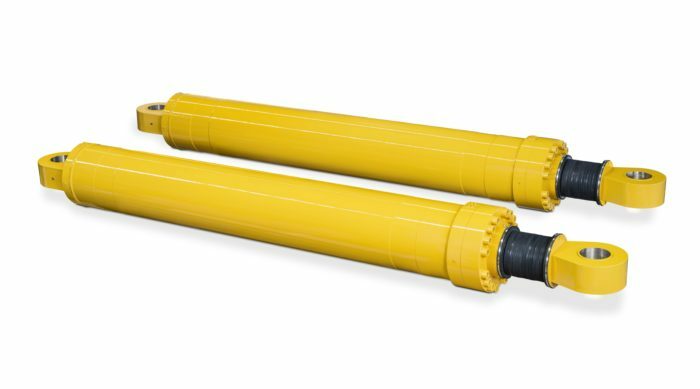 Here, we deliver customized hydraulic cylinders that secure reliable and economical plant operation despite of the high requirements on construction and material. 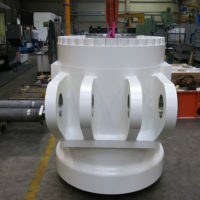 Valve adjusting cylinders, for example, are used for opening and closing shut-off valves in fittings of different size. In this field Hoven delivers an appropriate product family in a broad range of diameters and stroke lengths. 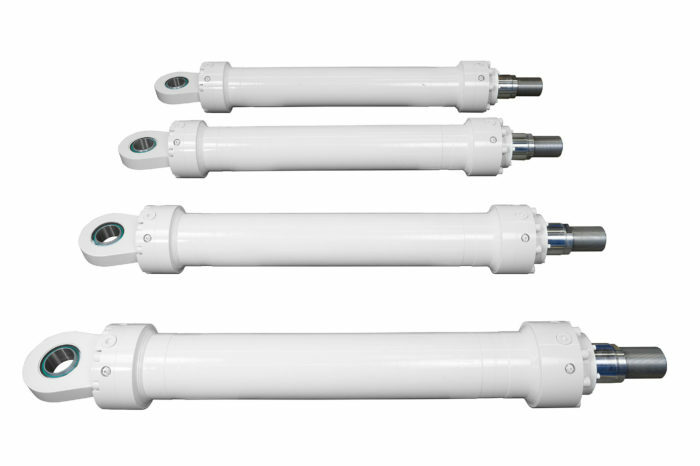 These cylinders have been developed for process temperatures of over 1000°C and are resistant against strong temperature fluctuations. 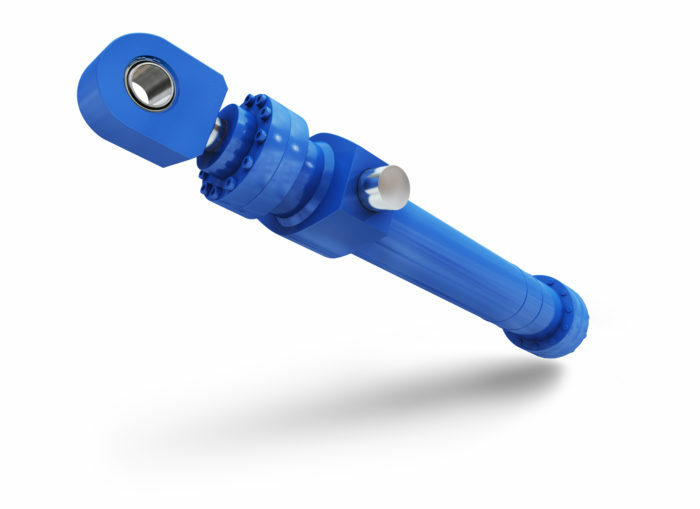 Durable piston rods of stainless steel with additional chromium coating guarantee reliable protection against wear and corrosion. 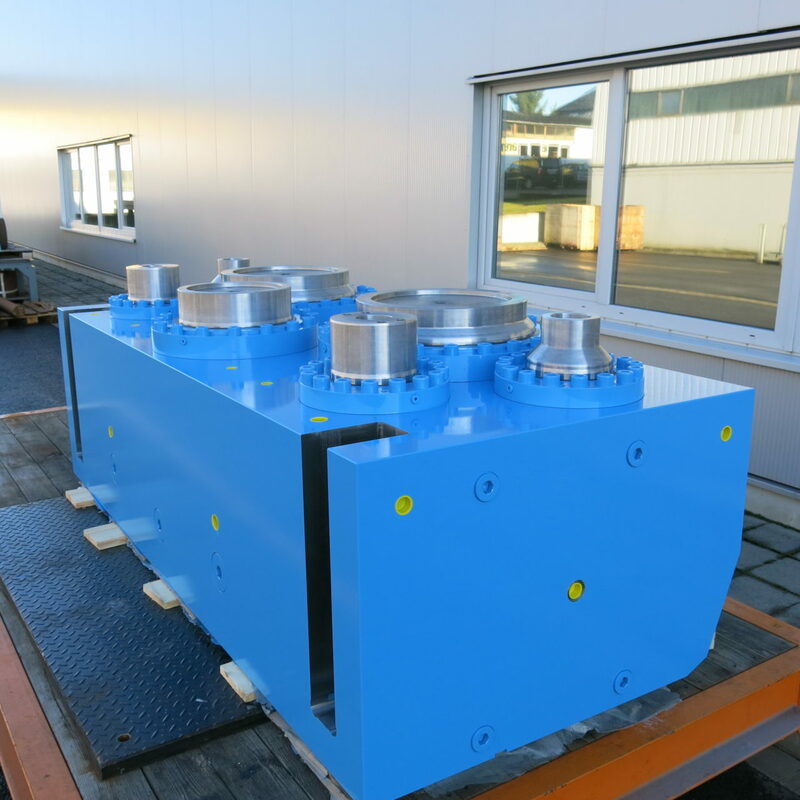 Moreover, the cylinder guides and gaskets are adapted in such a way that a long service life is achieved. 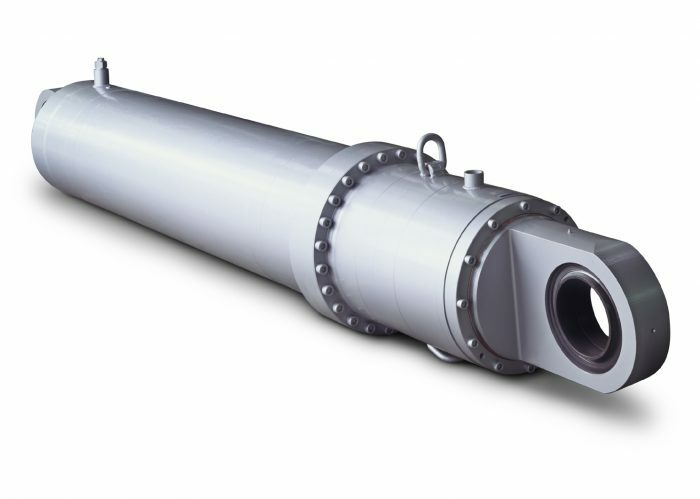 Due to their ability of transmitting strong forces with highest precision, Hoven-cylinders are predestined for the use in process-relevant places. 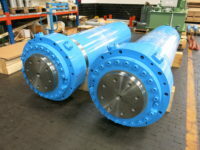 This also applies to the drives of shut-off valves and fittings in coker plants for which we also deliver highly precise cylinders with ATEX-approval. 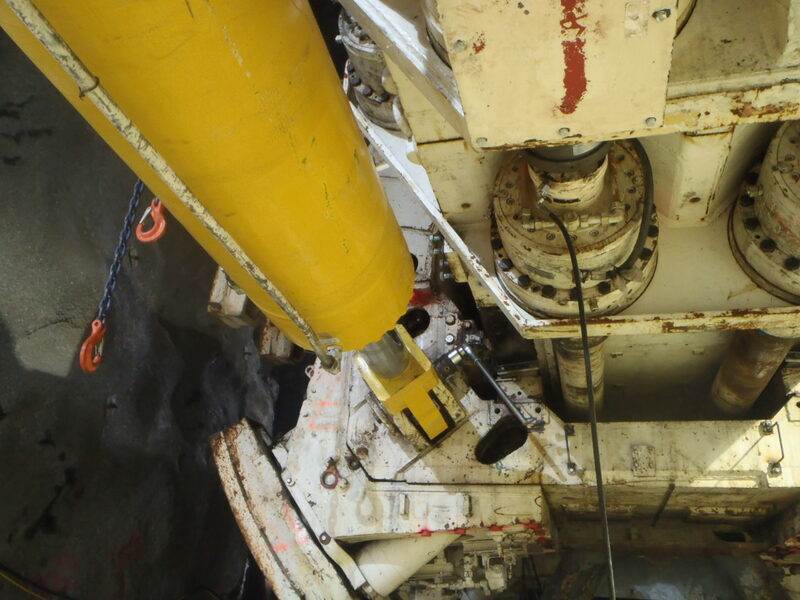 On request Hoven safety engineers also carry out testing and certification according to all other accepted standards and guidelines including NEMA, CSA, UL as well as GL.